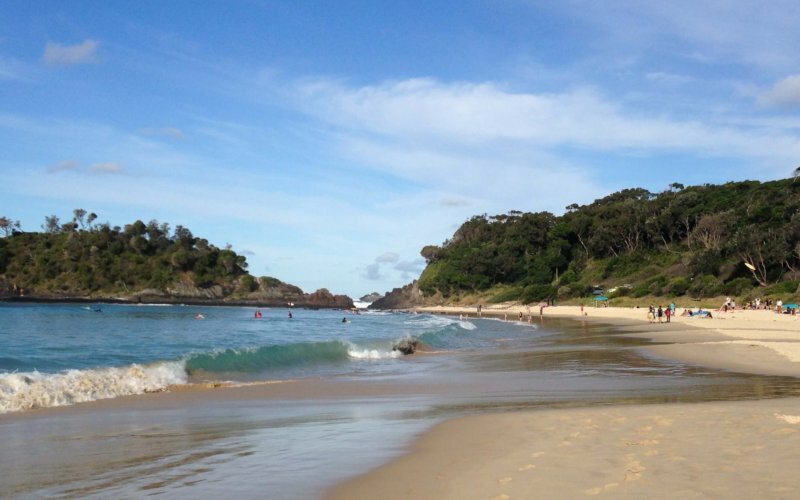 There are plenty of beaches to escape to in Australia. Sometimes you can find yourself asking: “but which beach?” I know. Hard, right?! 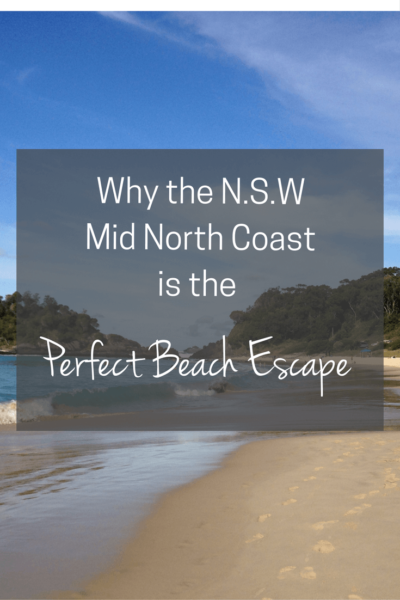 Being in Sydney, we tend to be conflicted of wither heading ‘north or south’ when looking for a beach getaway. We’ve written a little about the N.S.W. South Coast before. 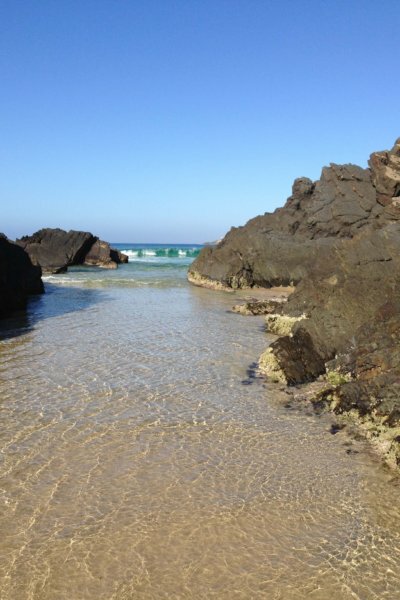 It truly has some gorgeous gems and we are so lucky to have found some true escapes nestled off the Pacific Highway. Imagine sand that feels like cake batter, so deep and soft that it gently encases your ankles. Water so clear you can see the fish swim over and nibble on your legs. And the smells of eucalyptus from the surrounding bush – oh! – it just makes you take a huge breath in and you’re relaxed in seconds. But there’s lots more to N.S.W than the South Coast. I spent a lot of time on the North Coast growing up and we took a great girly getaway with Natalie on our Pacific Wanderings Roadtrip. But there’s something about the mid-north coast of N.S.W. that captures my heart every time. Let me define the area that makes up the mid-North Coast. Wikipedia defines it as Seal Rocks to Woolgoolga but I think most Australian’s would define it as the area between Newcastle (2 hours and 160 km north of Sydney) and Coffs Harbour (6 hours and 540 km north of Sydney). I’m going to talk about just two areas that are worth exploring further. A few months ago, I took a few days to myself and escaped on a self-imposed writing retreat. I needed a quiet place to write. I also needed a place to reflect so that I could churn over the structure and flow of my novel. Hawks Nest provided just the ticket. Positioned just over an hour north of Newcastle, it didn’t take me long to get there, but it was just far enough from home to make it feel like I was getting away. While there are two holiday parks at Hawk’s Nest (and I’ve stayed at both), the one I recommend is North Coast Holiday Parks Jimmys Beach. I stayed in a cabin sitting on the edge of the park, facing a grassy area lined with trees. With the BBQ table positioned just so on the porch, it was the perfect place to write. As I squeezed out the words on my keyboard, I could hear waves crashing on the beach in the background while birds zipped to and fro between the trees. I spent four nights in that cabin and finished the final draft on my novel. I’m now in editing mode, polishing it up to get it ready to send on to a professional editor. 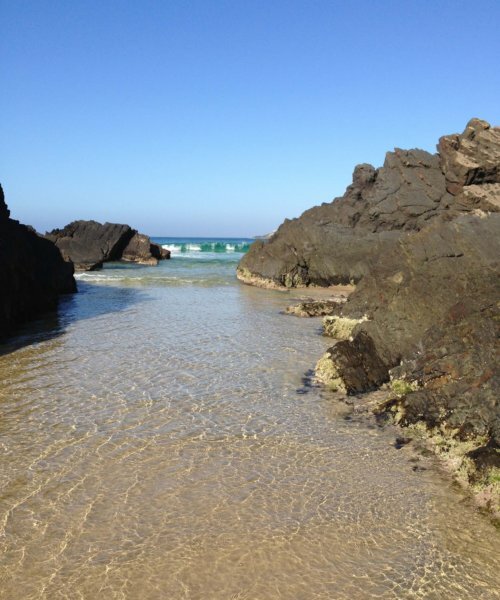 Jimmy’s Beach was the perfect place for me to dig deep to finish my book. 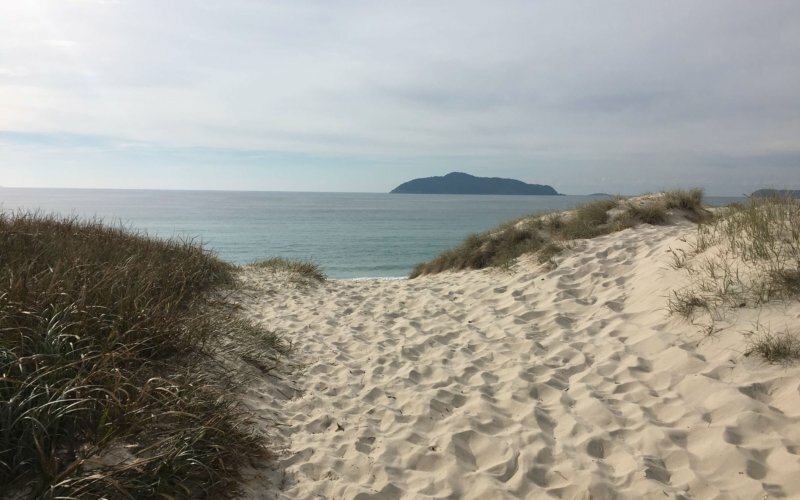 Now, while it’s perfect for a self-imposed writing retreat, it’s also the wonderful beach getaway for families. I’ve been there to Hawks Nest on a beach holiday and I seriously didn’t want to leave. 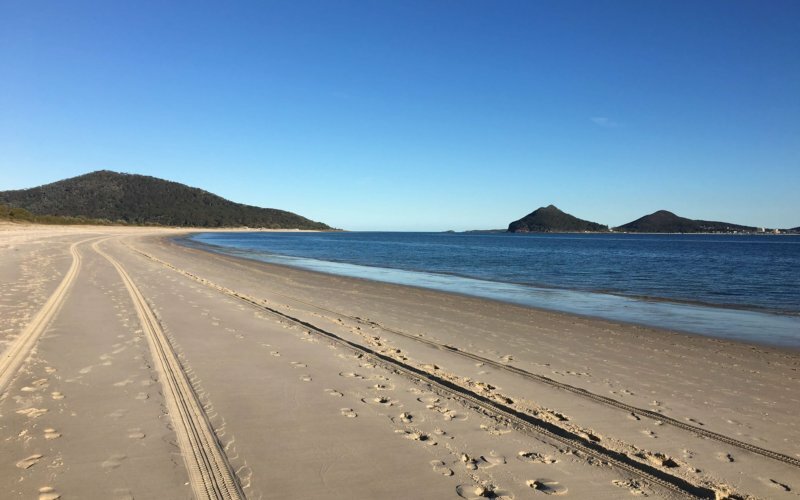 Jimmy’s Beach is positioned perfectly between Bennett’s Beach and the north shore of Port Stephens. It’s perfect for surfing, building sand castles, kayaking and even paddle boarding. Another gem is Seal Rocks a little further north. This is a beach oasis surrounded by bush. It’s an area that’s well known for its resistance to developer attempts to commercialise the area. As you enter the small town, you’ll see slogan “Save Seal Rocks: The Last Frontier” painted on the road. It’s been continually repainted for over 30 years. You’ll also see signs everyehere that make it clear how the locals feel about their precious spot. Seal Rocks is a special place. It’s so quiet here. 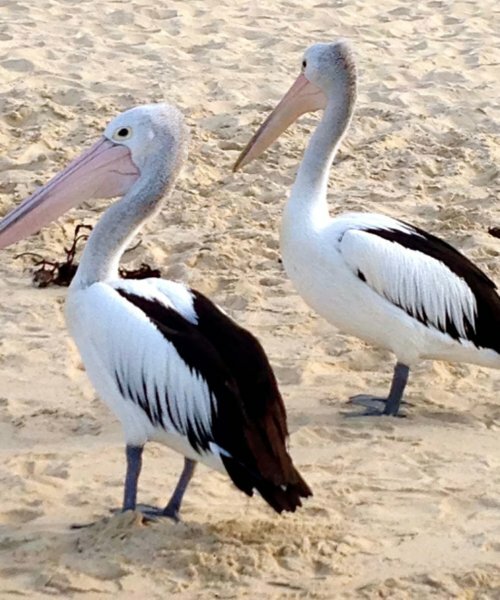 From the Seal Rocks Holiday Park, you can walk across the beach and wade amongst the surfers and the local pelicans in moments. Dingoes can be seen in the area, something the park makes clear in the common areas, encouraging travellers not to feed them. I have looked at those staying in the cabins with envy. They are positioned facing the beach, the perfect spot. I have camped here a few times and simply put, it’s divine. Definitely one of the best places I’ve ever camped. Nothing can be heard at night but crashing waves and the rustling of the nocturnal animals. Next time I’m going to check out the cabins for sure. There are a lot of places left to explore and if there are more hidden gems like this, bring it on!